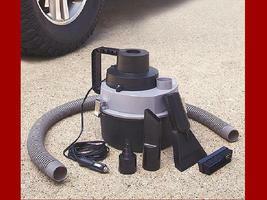 Portable Wet/Dry Auto Vacuum Works on Cars Boats RVs Description Wet/Dry Auto Vacuum works on cars, boats and RVs. Plug It Into Your Car's 12V Lighter Socket It's Ready To Go!! This portable, functional car accessory lifts dirt and spills quickly and easily. Plugs right into the dashboard so no electric outlet is needed. Features a bagless design with a 1.5-liter capacity dirt collector. Wet/Dry Auto Vacuum includes: Vacuum cleaner (9-5/8" x 8-1/4" dia.) 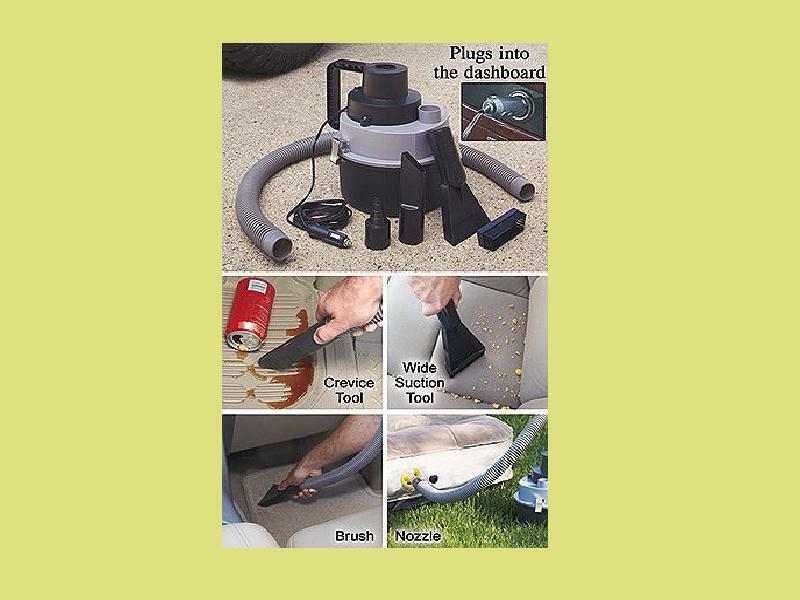 3-Ft. hose 4 Attachments: Crevice tool to get into those hard-to-reach areas in the upholstery Brush to lift any ground-in dirt from seats and floor mats Nozzle to use for inflating air mattresses (great for camping) Wide suction tool ideal for picking up crumbs Made of polypropylene and ABS plastic. Some assembly required; assembly hardware included. Brand new; never been used before. Payment and Shipping I accept PayPal only. Please DO NOT send personal checks. Shipping cost varies by buyer location. I will ship worldwide. I ship within 24 hours after receiving payment using delivery confirmation. Please feel free to ask questions about sale prior to its ending. I know you will love my items and my service. If you are not satisfied for any reason, please let me know so that I may work with you to make you happy. Please visit my current sales at Bonanza and save on S H with multiple orders. Thanks for your bid! Pay me securely with any major credit card through PayPal!